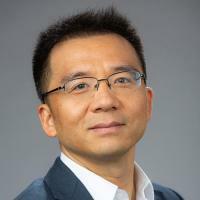 Tony Jun Huang received his Ph.D. degree in Mechanical and Aerospace Engineering from the University of California, Los Angeles (UCLA) in 2005. His research interests are in the fields of acoustofluidics, optofluidics, and micro/nano systems for biomedical diagnostics and therapeutics. He has authored/co-authored over 190 peer-reviewed journal publications in these fields. His journal articles have been cited more than 12,000 times, as documented at Google Scholar (h-index: 62).He also has 20 patents and invention disclosures. He was elected a fellow of the following five professional societies: the American Institute for Medical and Biological Engineering (AIMBE), the American Society of Mechanical Engineers (ASME), the Institute of Electrical and Electronics Engineers (IEEE), the Institute of Physics (IOP), and the Royal Society of Chemistry (RSC). Huang's research has gained international recognition through numerous prestigious awards and honors including a 2010 National Institutes of Health (NIH) Director's New Innovator Award, a 2011 JALA Top Ten Breakthroughs of the Year Award, a 2012 Outstanding Young Manufacturing Engineer Award from the Society for Manufacturing Engineering, a 2013 Faculty Scholar Medal from The Pennsylvania State University, a 2013 American Asthma Foundation (AAF) Scholar Award, the 2014 IEEE Sensors Council Technical Achievement Award from the Institute of Electrical and Electronics Engineers (IEEE), and the 2017 Analytical Chemistry Young Innovator Award from the American Chemical Society (ACS). Acoustofluidics, microfluidics, lab-on-a-chip, biomedical micro-electro-mechanical systems (BioMEMS), optofluidics, plasmofluidics. Zhang, SP; Lata, J; Chen, C; Mai, J; Guo, F; Tian, Z; Ren, L; Mao, Z; Huang, P-H; Li, P; Yang, S; Huang, TJ, Digital acoustofluidics enables contactless and programmable liquid handling., Nature Communications, vol 9 no. 1 (2018) [10.1038/s41467-018-05297-z] [abs]. Wu, M; Ouyang, Y; Wang, Z; Zhang, R; Huang, P-H; Chen, C; Li, H; Li, P; Quinn, D; Dao, M; Suresh, S; Sadovsky, Y; Huang, TJ, Isolation of exosomes from whole blood by integrating acoustics and microfluidics., Proceedings of the National Academy of Sciences of the United States of America, vol 114 no. 40 (2017), pp. 10584-10589 [10.1073/pnas.1709210114] [abs]. Ahmed, D; Ozcelik, A; Bojanala, N; Nama, N; Upadhyay, A; Chen, Y; Hanna-Rose, W; Huang, TJ, Rotational manipulation of single cells and organisms using acoustic waves, Nature Communications, vol 7 no. 1 (2016) [10.1038/ncomms11085] [abs]. Chen, Y; Wu, M; Ren, L; Liu, J; Whitley, PH; Wang, L; Huang, TJ, High-throughput acoustic separation of platelets from whole blood., Lab on a Chip, vol 16 no. 18 (2016), pp. 3466-3472 [10.1039/c6lc00682e] [abs]. Guo, F; Mao, Z; Chen, Y; Xie, Z; Lata, JP; Li, P; Ren, L; Liu, J; Yang, J; Dao, M; Suresh, S; Huang, TJ, Three-dimensional manipulation of single cells using surface acoustic waves, Proceedings of the National Academy of Sciences of the United States of America, vol 113 no. 6 (2016), pp. 1522-1527 [10.1073/pnas.1524813113] [abs]. Li, P; Mao, Z; Peng, Z; Zhou, L; Chen, Y; Huang, P-H; Truica, CI; Drabick, JJ; El-Deiry, WS; Dao, M; Suresh, S; Huang, TJ, Acoustic separation of circulating tumor cells., Proceedings of the National Academy of Sciences of the United States of America, vol 112 no. 16 (2015), pp. 4970-4975 [10.1073/pnas.1504484112] [abs]. Guo, F; Li, P; French, JB; Mao, Z; Zhao, H; Li, S; Nama, N; Fick, JR; Benkovic, SJ; Huang, TJ, Controlling cell–cell interactions using surface acoustic waves, Proceedings of the National Academy of Sciences of the United States of America, vol 112 no. 1 (2015), pp. 43-48 [10.1073/pnas.1422068112] [abs]. Huang, P-H; Nama, N; Mao, Z; Li, P; Rufo, J; Chen, Y; Xie, Y; Wei, C-H; Wang, L; Huang, TJ, A reliable and programmable acoustofluidic pump powered by oscillating sharp-edge structures., Lab on a Chip, vol 14 no. 22 (2014), pp. 4319-4323 [10.1039/c4lc00806e] [abs]. Huang, P-H; Xie, Y; Ahmed, D; Rufo, J; Nama, N; Chen, Y; Chan, CY; Huang, TJ, An acoustofluidic micromixer based on oscillating sidewall sharp-edges., Lab on a Chip, vol 13 no. 19 (2013), pp. 3847-3852 [10.1039/c3lc50568e] [abs]. Ding, X; Li, P; Lin, S-CS; Stratton, ZS; Nama, N; Guo, F; Slotcavage, D; Mao, X; Shi, J; Costanzo, F; Huang, TJ, Surface acoustic wave microfluidics, Lab on a Chip, vol 13 no. 18 (2013), pp. 3626-3626 [10.1039/c3lc50361e] [abs]. Ding, X; Lin, S-CS; Kiraly, B; Yue, H; Li, S; Chiang, I-K; Shi, J; Benkovic, SJ; Huang, TJ, On-chip manipulation of single microparticles, cells, and organisms using surface acoustic waves, Proceedings of the National Academy of Sciences of the United States of America, vol 109 no. 28 (2012), pp. 11105-11109 [10.1073/pnas.1209288109] [abs]. Shi, J; Ahmed, D; Mao, X; Lin, S-CS; Lawit, A; Huang, TJ, Acoustic tweezers: patterning cells and microparticles using standing surface acoustic waves (SSAW), Lab on a Chip, vol 9 no. 20 (2009), pp. 2890-2890 [10.1039/b910595f] [abs]. Shi, J; Huang, H; Stratton, Z; Huang, Y; Huang, TJ, Continuous particle separation in a microfluidic channel via standing surface acoustic waves (SSAW), Lab on a Chip, vol 9 no. 23 (2009), pp. 3354-3354 [10.1039/b915113c] [abs]. Ahmed, D; Mao, X; Shi, J; Juluri, BK; Huang, TJ, A millisecond micromixer via single-bubble-based acoustic streaming, Lab on a Chip, vol 9 no. 18 (2009), pp. 2738-2738 [10.1039/b903687c] [abs]. Shi, J; Mao, X; Ahmed, D; Colletti, A; Huang, TJ, Focusing microparticles in a microfluidic channel with standing surface acoustic waves (SSAW), Lab on a Chip, vol 8 no. 2, pp. 221-223 [10.1039/b716321e] [abs].